It would seem The Apocalypse occurs with Click here to vote for Theater Hopper at buzzComix and to witness the harrowing event! Incidentally, I hope none of you out there take offense to all this Biblical reference. I’m not trying to goof on anyone’s beliefs. 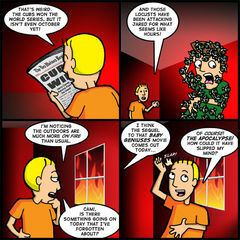 Just a little riff on all those improbable circumstances people say will bring about the end of the world. You may not have known that there was a sequel to Baby Geniuses arriving in theaters today. You may not have even been aware there was even a movie CALLED Baby Geniuses. But somehow this franchise has ensnared the talents of Jon Voight, Kathleen Turner, Christopher Lloyd, Kim Cattrall, Peter MacNicol… and yes – Dom DeLuise and Scott Baio. All of these actors must have done something very, very bad in a past life to be sentenced to this celluloid Hell. In case you’re not familiar with the premise of Baby Geniuses and its sequel SuperBabies: Baby Geniuses 2, the first movie suggests that “baby talk” is actually a highly sophisticated language that babies use to discuss the knowledge of the secrets of the universe with which they are born. Two doctors attempt to crack the code. That last part was taken directly from the SuperBabies: Baby Geniuses 2 web site. 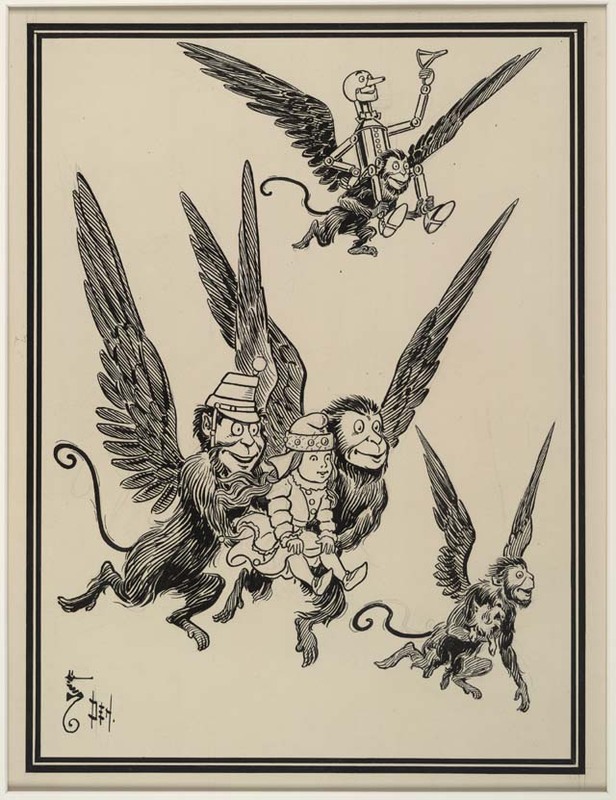 Now, go look out your window to make sure flying monkeys aren’t carrying away your car in their talons. Because right now, it would be more plausible than accepting a major motion picture studio – in this case, Sony Pictures – actually financed this (literally) infantile clap-trap. If you’re looking for a little dose of sanity after that, swing into the THorum and say hello to our friendly community. Today starts another round of The Friday Five, so you should definitely check that out. The concept is simple: We ask you five questions and you answer them! Everyone gets to know a little bit more about each other and the world becomes a much friendlier place! See you back in this spot on Monday!